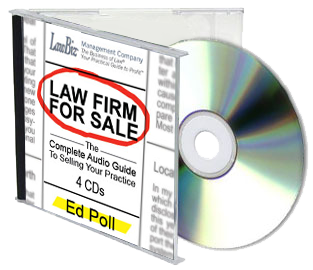 Looking to buy a law firm? 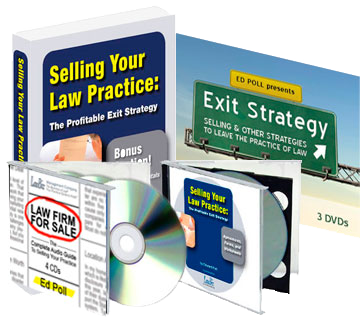 Below is a listing of law practices offered for sale. Don't see what you're looking for? Contact us for a confidential discussion about your specific needs. A well-established and highly respected Southern California applicants' workers compensation law firm; in practice in the same location for more than five decades. Seeks to sell to a capable, experienced firm or individual. A practice management operating system and efficient facilities are in place. This is an excellent opportunity with capacity for continued growth in revenues. Well-established Plaintiff's P.I. firm in business since early 90's serving Silicon Valley, Central Coast, Bay Area and Central Valley for sale. Consistent annual gross revenue averaging $1.75M. Multiple existing offices serving a large, diverse population base in numerous counties located in San Jose, San Francisco, Oakland, Pleasanton, Redwood City, Fresno, Salinas, Santa Cruz, Monterey, Gilroy, Hollister and Watsonville. Broad-ranging in-place attorney internet advertising would allow new ownership to base the firm in any of these locations. Highly-experienced, loyal staff members desire to remain on with new ownership, thus making this a truly turn-key opportunity for the right new owner. A well-established and highly respected Bay Area defense law firm in business since 1986, ideally located near San Francisco and Oakland Workers' Compensation Appeals Boards, seeks to sell or merge business with a capable, experienced firm or individual. Excellent clients include insurance carriers, hospitals and public entities who provide stable, recurring income. A practice management operating system, account management, human resource and incentive program. Cyber security protocols and insurance are in place to protect client information and the firm. Revenue: Annual revenues exceed $1.2 million. A stable, life-style and prestigious mountain area law firm concentrating on family law and personal injury ideally located near the target market in a prestigious setting seeks to sell or merge. This is an excellent opportunity with capacity for substantial growth in revenues. Established, well-regarded elder law and estate planning, with convenient access for elderly clients in North Seattle and Bellevue offices. Turn-key opportunity. Room for growth. For more information, call (206) 262-8306 or e-mail dcm@leesmart.com.